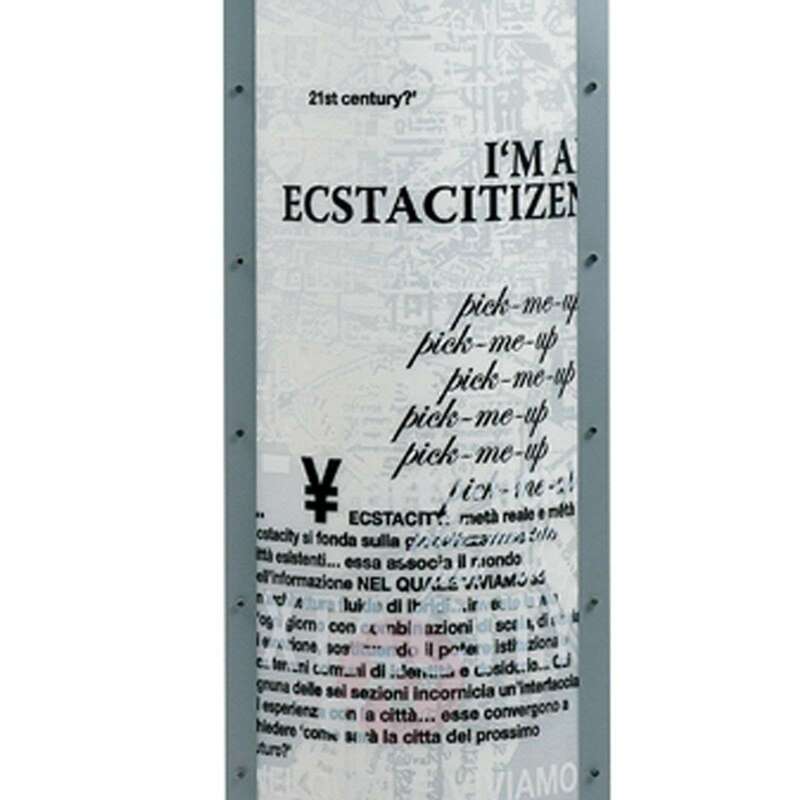 The Ecstacity floor lamp is decorated with an exclusive print motif. The particular value of this light lies in its ability for multifunctional use, which allows for numerous variations of light. The light can be dimmed at any time and adjusted to a higher brightness level. The dimming function is very easy to use and makes this designer light a practical and popular art piece. 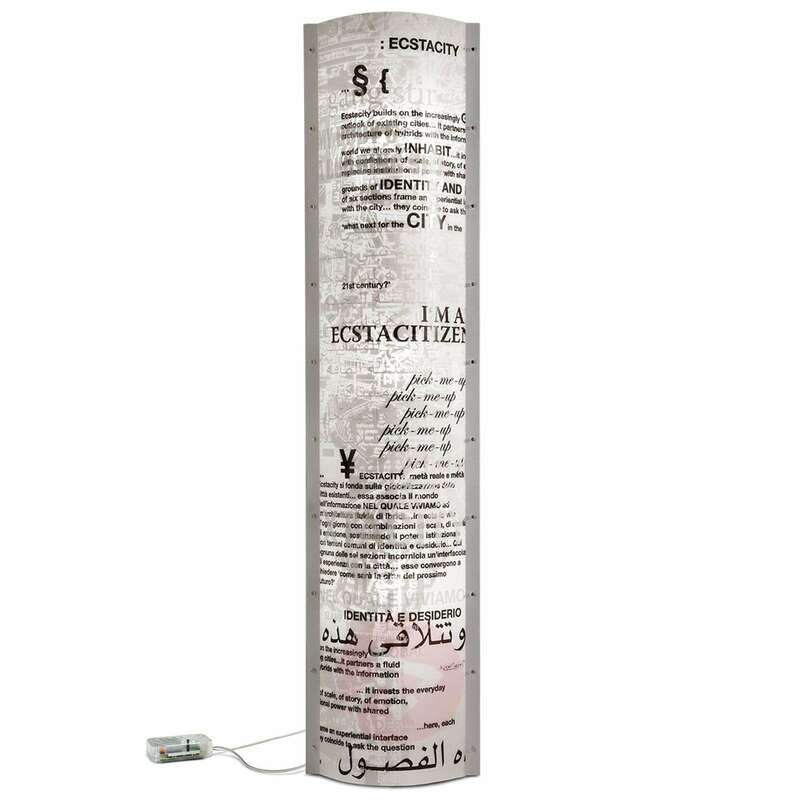 This floor lamp can be used with 18 watt compact fluorescent lamps or 75 watt incandescent bulbs. The print motif is reminiscent of a New York newspaper and, thus, offers an interesting entertainment factor, which creatively enhances its surroundings. 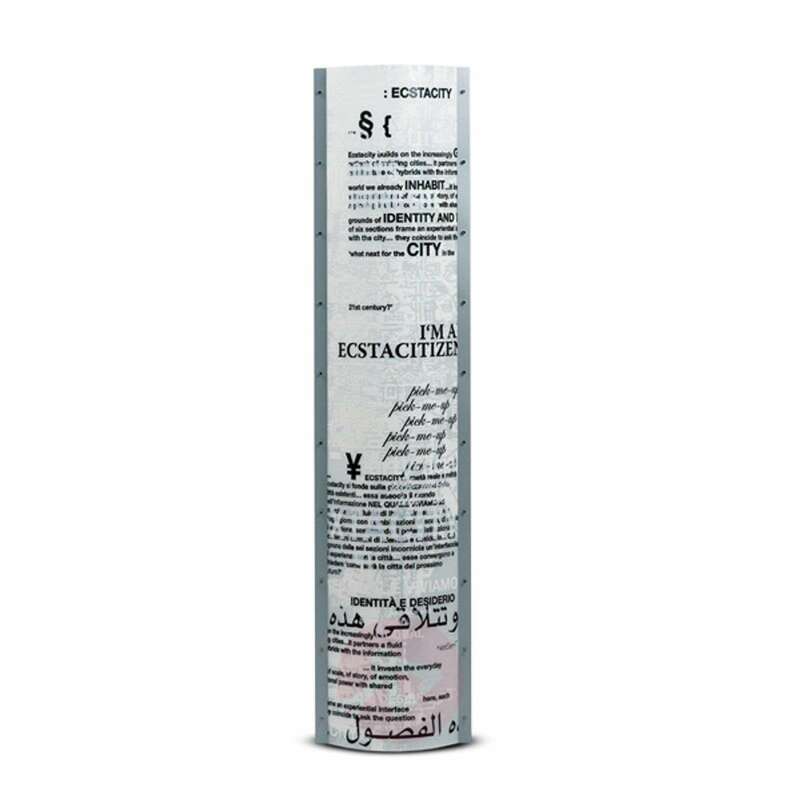 The daily newspaper style print is modern and the subtle colouring enables the floor lamp to create an appealing accent in almost any location. It provides pleasant and individually adjustable lighting in every room. 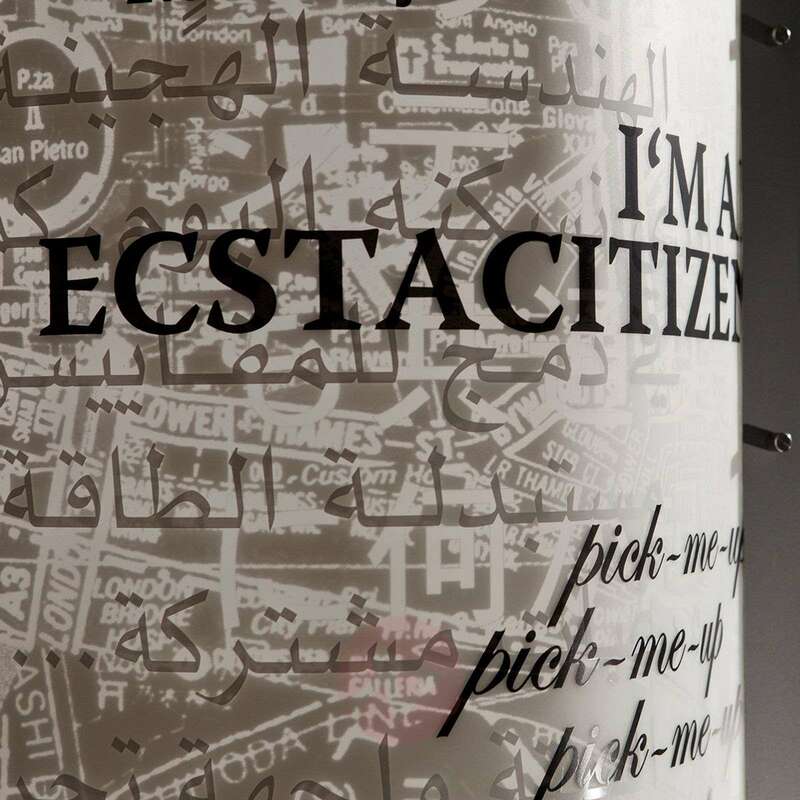 The lettering on the Ecstacity floor lamp even provides some linguistic variety. 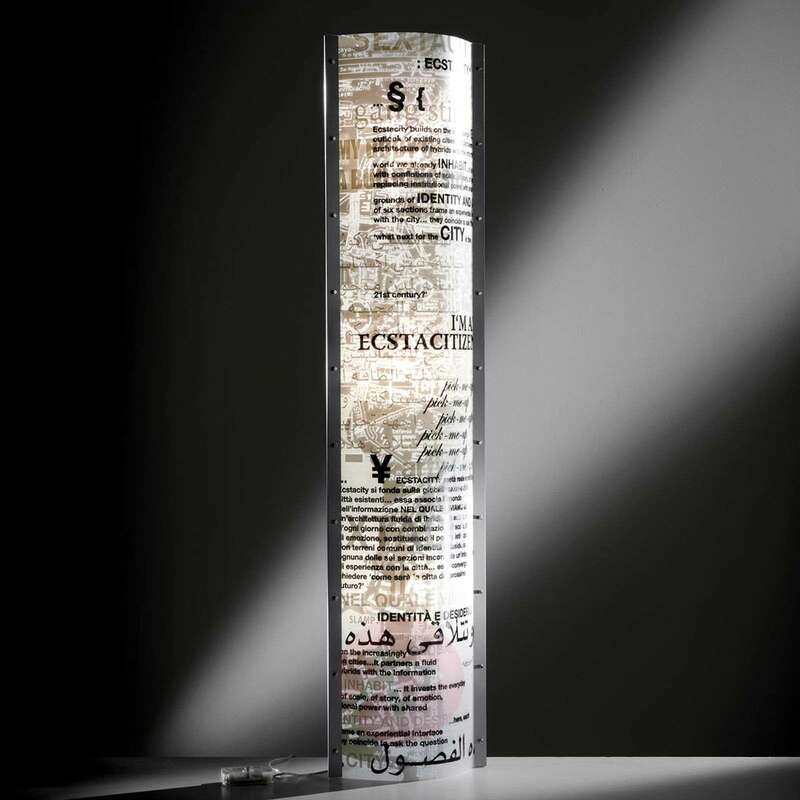 Various languages and characters feature on the lampshade, and the light always serves as an extraordinary eye-catcher. These properties simultaneously make the Ecstacity floor lamp both a practical and aesthetic lamp that gives off a special light. From the stock market style font to curved Arabic characters, the lamp offers numerous beautiful text excerpts through which the light shines.